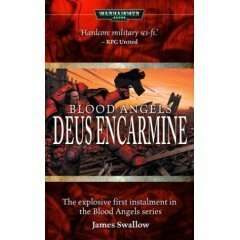 The Space Marines are the most popular of all of the forces fighting in the grim future of Warhammer 40,000, and the Blood Angels are possibly the most popular of all the Marine Chapters. In the first of two linked novels, rising Black Library (and Black Flame!) star James Swallow reveals the gore-soaked secrets of the Blood Angels for the very first time. Retreating from an inglorious defeat, the Space Marines are reinforced by a new army led by their legendary primarch, Sanguinius. 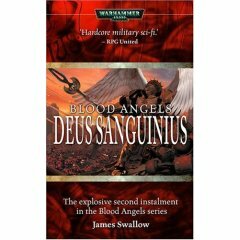 But Sanguinius has been dead for centuries, so what by all that is holy is going on?